Seoul Bistro in Sunny bank has quite the reputation amongst foodies for its cheap prices and mouthwatering fried chicken. To finish, enter your payment info and wait for your order confirmation email. Our meal was hot & fresh when it arrived! This time around we ordered the 22 piece buffalo wings ($32.90) and the Japa fried chicken burger (Only $9.90 with chips!!!). The fried chicken burgers were massive, very crispy and delicious. 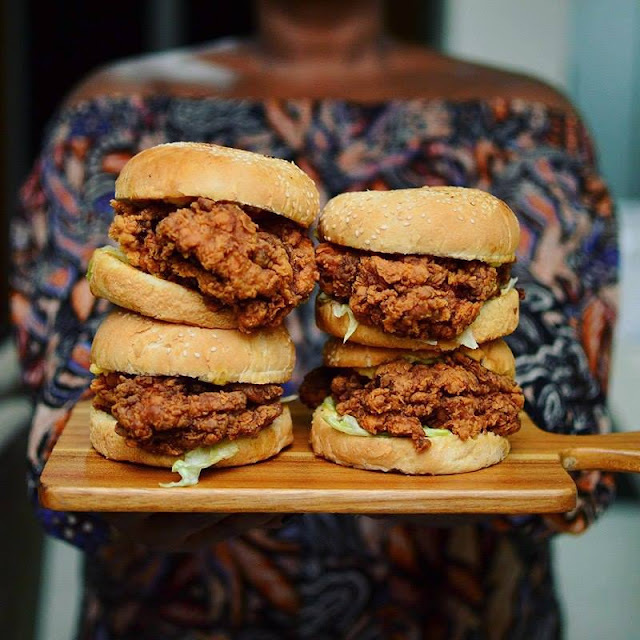 In fact, we were so impressed it currently holds #1 spot on our favorite fried chicken burgers in Brisbane list. So, HIGHLY recommended! 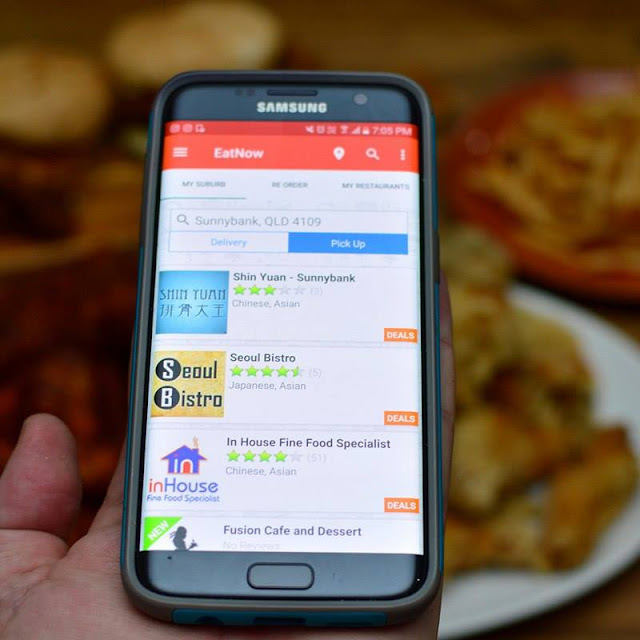 To entice you even more Eat Now offers exclusive deals only available on the app at certain restaurants. For instance, you can get 15% off your order at Seoul and your 8th order FREE. Check it out for yourself by visiting the Eat Now website, available here.